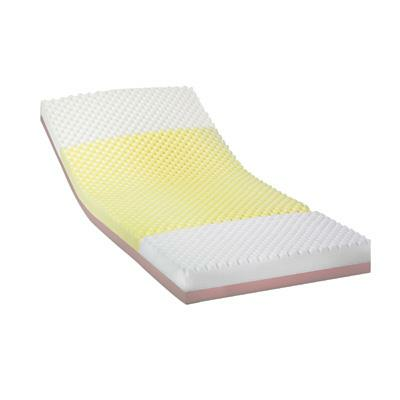 Invacare Solace Prevention Therapeutic Foam Mattress features special zoned layers of high density foam for aid in pressure relief on areas susceptible to pressure ulcers and soft head and foot sections for ultimate comfort. This dual-layered mattress has the comfort and technology that users need. How to clean Invacare Solace Foam Mattress? 2. Clean the top and bottom covers with organic cleaner or soapy water. Thanks for contacting us. This one is more firm than the inner spring mattress and economy mattress. So, yes it’s one of the more firm mattresses.